MINI and Porsche are two brands close to my heart because of their heritage in motor sport and their engineers relentless pursuit for driver focused vehicles. The 911 and MINI were ahead of their time from an engineering and design stand point. The MINI was designed to fit a specific criteria: small dimensions, large interior space, utilise existing parts and cheap to manufacture. The engineering team cleverly engineered the front wheel drive layout to utilise the same oil sump for the gearbox and transmission thus giving a compact design. The radiator was mounted at the left side of the car so that the engine-mounted fan could be retained, but with reversed pitch so that it blew air into the natural low pressure area under the front wing. The suspension system designed by Dr. Alex Moulton used compact rubber cones instead of conventional springs. This space-saving design also featured rising progressive gave a rate springing of the cones and provided some natural damping in addition to the normal dampers. Built into the subframes, the rubber cone system gave a raw and bumpy ride accentuated by the woven-webbing seats. The rigidity of the rubber cones together with the wheels positioning at the corners of the car gave the Mini go kart-like handling. Little did British Motor Corporation (BMC) know they would create an icon and a runaway success when all they wanted to do is make an affordable car for the masses during the fuel crisis of 1956. 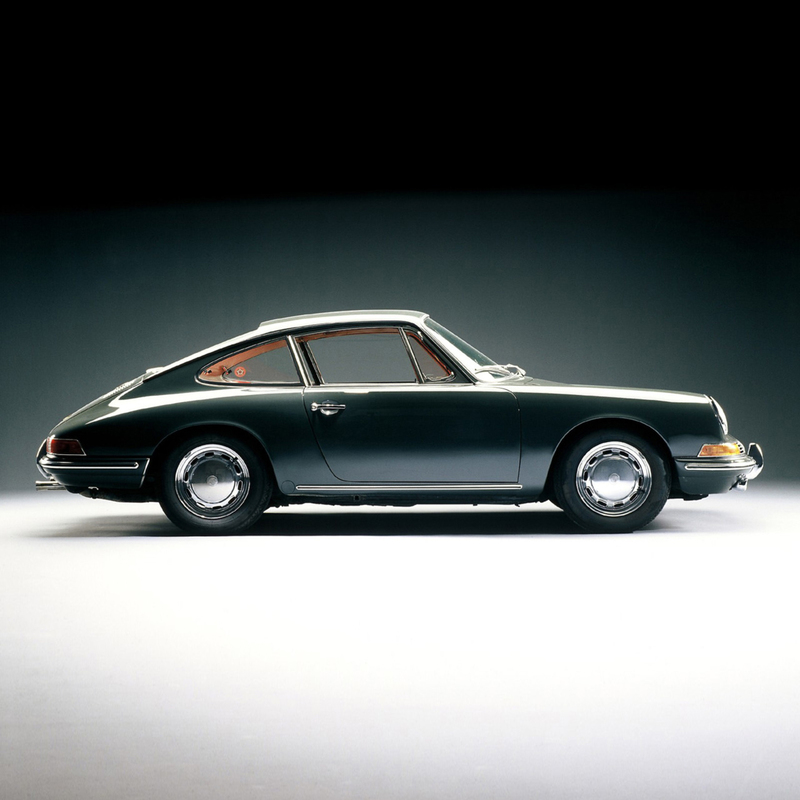 The Porsche 911 was destined to be a replacement model for the Porsche’s first car the 356. 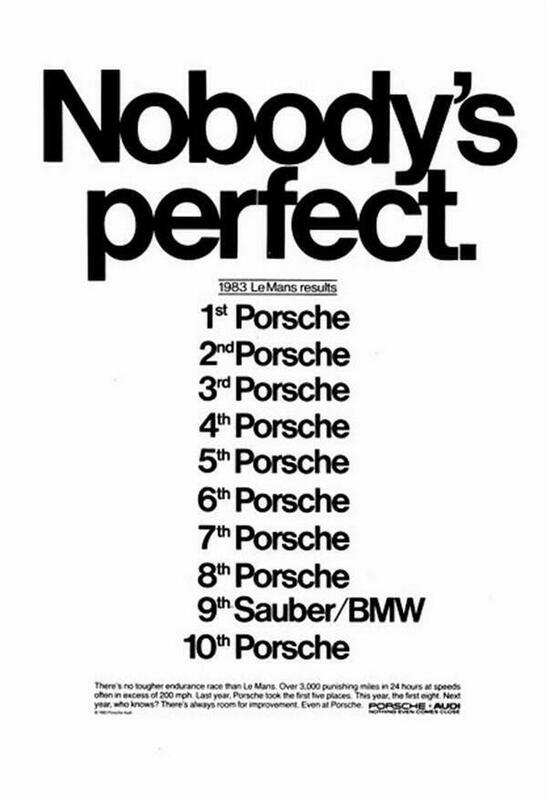 The 911 aim was to be a much more powerful, larger and more comfortable car. Strangely the name would have never came about if it wasn’t for the Peugeot’s trademark as Porsche wanted to call the 911 the 901. Peugeot protested on the grounds that in France it had exclusive rights to car names formed by three numbers with a zero in the middle. Porsche were seen to be quite mad at the time to have the engine at the back which still doesn’t make sense to this day given the weight out the back. Yet despite this strange layout the Porsche arguable build the worlds best handling cars. 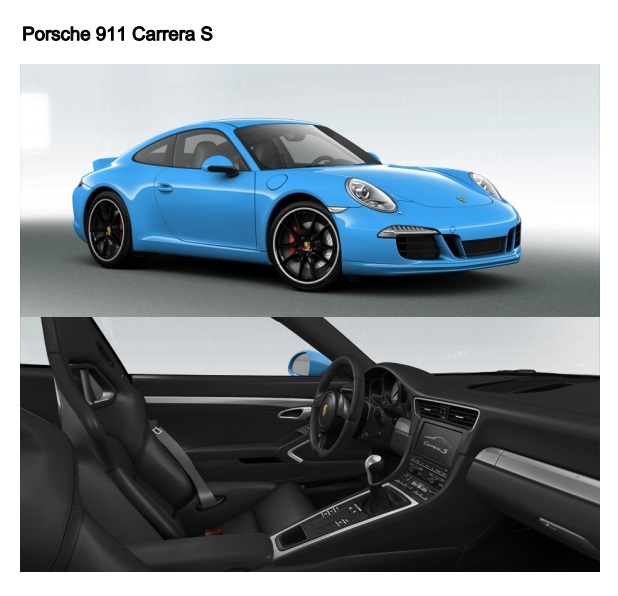 Yes old 911s will kill if you’re not fully focused or back off mid corner hence ‘The Widow Maker’ moniker but the modern 911 is a driver friendly car that will not try to kill you every 5 minutes like Cato from Pink Panther. But the boxer engine was fine engine choice as they offer a low centre of gravity and reduce body roll given the compact and even motion of the engine. Both brands have entered the SUV/Offroader market to keep them afloat. This opened the door to the mass market to increase sales number and profits in the forever diversifying world of 4 door coupe, luxury offroaders, compact SUVs, etc. I personally have no problem with both brands making 4×4 as it just means for money for R&D and performance variant models like the JCW, GP, GT3 RS, 918 Spyper and so on. 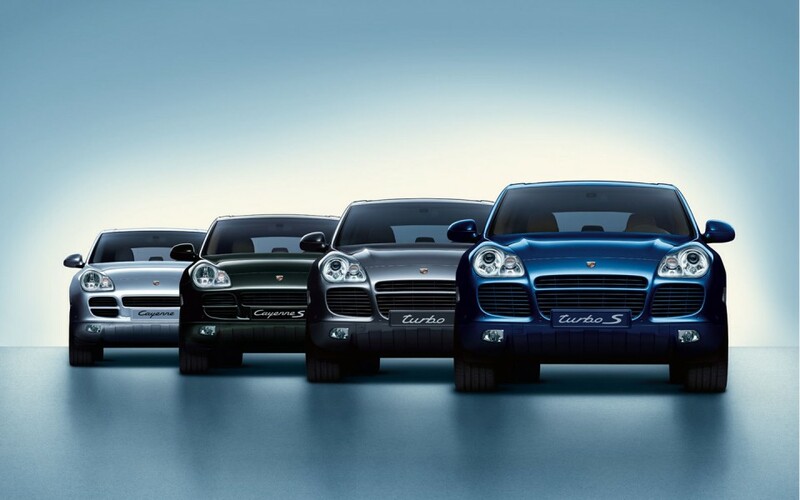 2002 saw the introduction of the Porsche Cayenne to cries of Porsche pursuits every saying the SUV would ruin the brand. Yet the model has been a runaway success and the 2nd generation arrived in 2010 with even better credentials. Autocar pegged a 911 against the Cayenne around a track and the difference was shocking given there was only a few seconds between them. Yes an £82,000 Cayenne Turbo was used against a 911 Carrera 4s yet the fatty Cayenne was 1.2 seconds behind it on a handle course. 2010 ironically saw the official unveiling of the Countryman to outrage of MINI fans worldwide but again the model has been success! In 2013 saw the 250,000 Countryman being sold and shipped across the world. 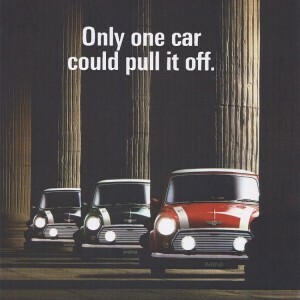 A lot of people have said MINI has gone way from what the brand means literally given its name. Yes I didn’t like when I first saw it but I loved the look of its two door brother. 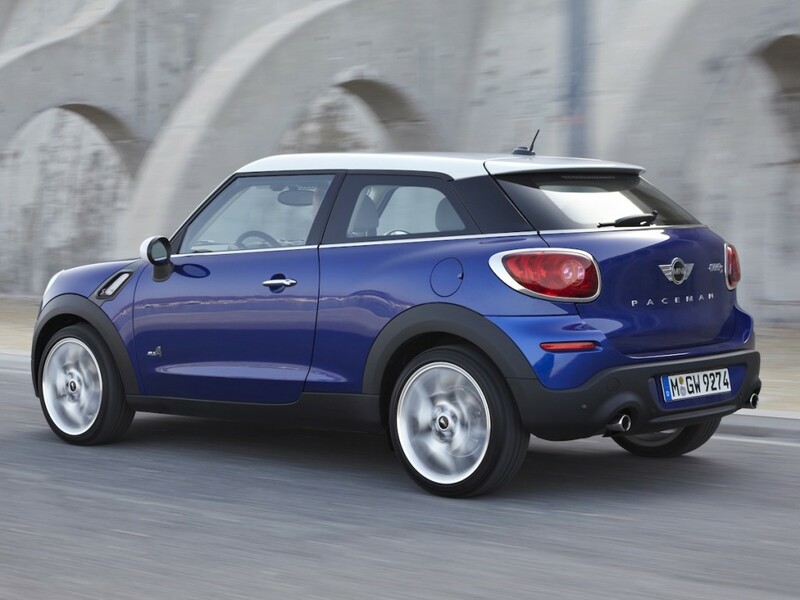 The Paceman has that BMW X6 sloping roof line and better looking rear end. The Countryman has brought the masses and yummy mummies to the brand, however recently I have seen Countryman been taken up by MINIacs who been modding them like crazy. It seems the north hemisphere of the world is where all the Countryman’s live with the US seeing the most tuned ones and finest examples. Another interesting thing was MINI’s own four-wheel drive system called the ALL4 which was another worrying moment for me. I booked out a JCW Paceman ALL4 for a test drive/review and the drive ability was improved by an early entry full throttle and improved power delivery to the road. There seemed to be no downside to the ALL4 system just the fact this JCW Paceman was £30,000 plus! Moving on to sport SUV or sport compacts SUV or whatever you want to call them both brands have released their own models. 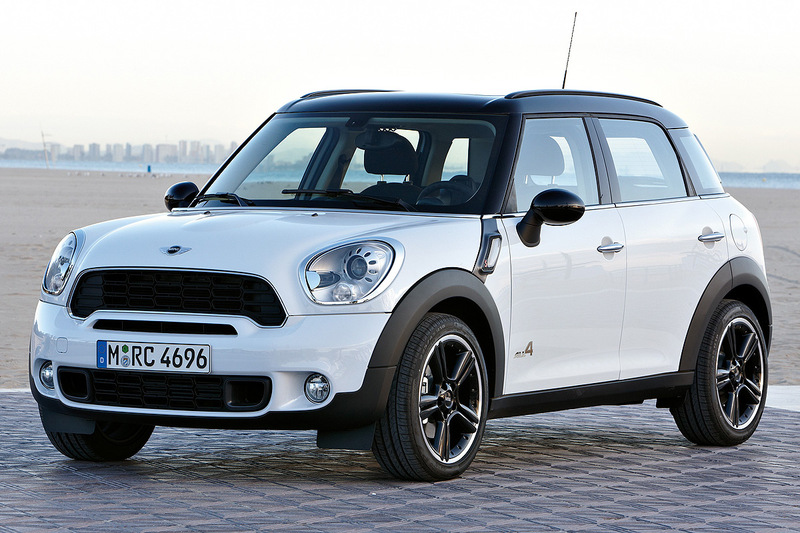 MINI ALL4 drifted in with the Paceman and Porsche gave the world the Macan. However the Paceman hasn’t been popular amongst buyers yet the Macan officially sold out its first year allocation of 50,000 vehicles which gave it a waiting list when it wasn’t even on sale yet!!! 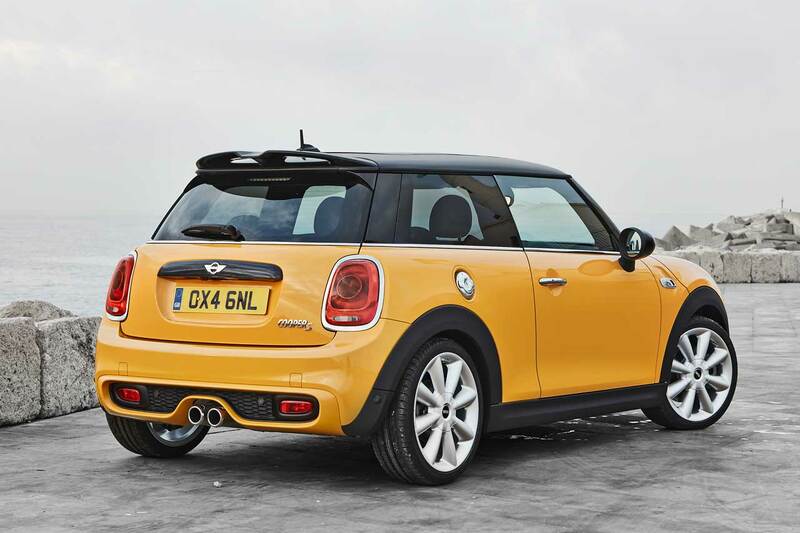 In order to make a more practically or a five door version of their models MINI will introduce the F56 5 door MINI and Porshce gave the world the Panamera. Another sore subject was the engine changes which were met with pitch forks after the change from supercharged to turbocharged and air-cooled to water-cooled. This change was met with resistance but after the cars were driven by owners and newcomers all worries disappeared on the performance and drive ability side. Yet some will miss theatrics of the engine & exhaust noise and whining of the supercharger. 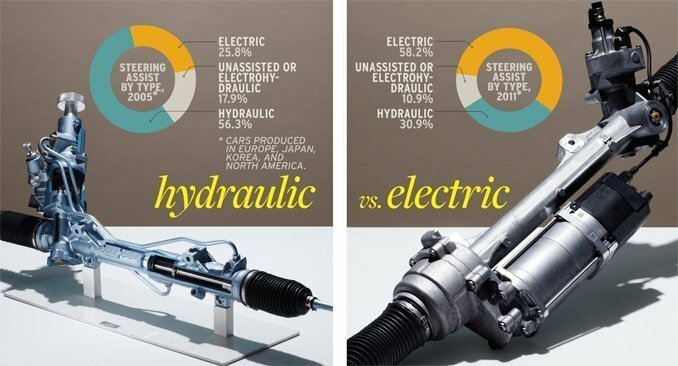 Another famous heated outrage in both brands was the switch over to electric steering from hydraulic systems where many die-hard owners have said the steering and road feel has been corrupted. The move has been said by both manufactures to be an emissions one as the engine power is being diverted to hydraulic pump for the steering. Hmmm But what they wont say is the electric ones are cheaper, more reliable and lighter?? However there a lot of other benefits of the electric such as you don’t need Chuck Norris’s arms to turn the wheel and all the electric systems can work in harmony for drive ability with parking being much easier. I am sure at some point the feel of the hydraulic system will come to the electric system just like how traction control didn’t allow any slip and constantly cut power but now there are adjustable stages of TC. I have driven the new 911 and compared to the hydraulic steering in the 997 and you will hard pressed to know the difference besides the ease of the turning the wheel. However it is a different ball game with the R50 & R56 where the difference is glaringly obvious to anyone. The gearbox and steering is a workout in the R50 MINI in comparison with the R56 where you change gear and steer with one finger. A worthy upgrade on the R56 would be to upgrade to powerflex bushes installed as the OEM rubber ones are prone to wear if you enjoy the twisties as they give a better steering feel. 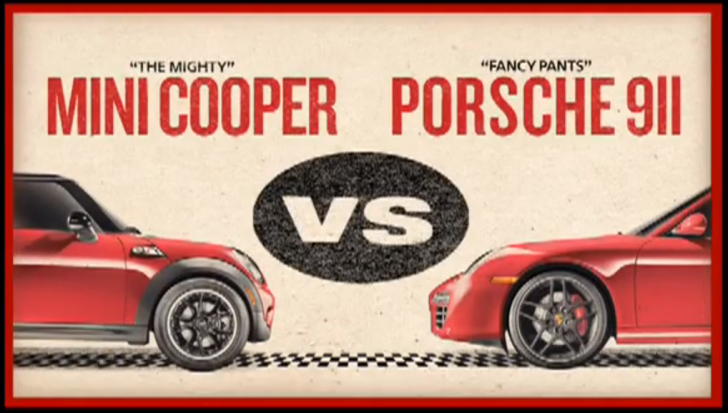 Another try by MINI was to introduce the Coupe and Roadster another move Porsche did 1996 which was the Boxster. 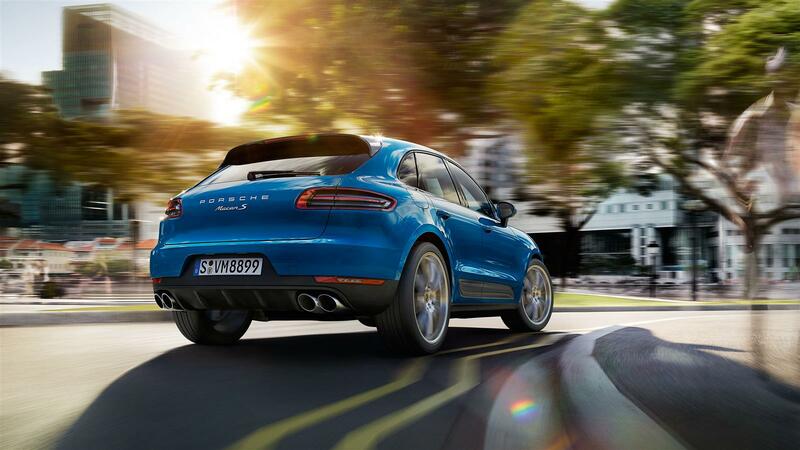 This move by Porsche saved the company as it allowed new customers to come into the brand via this entry-level model. The Boxster introduced a new way of production efficiency as the car was manufactured using pre-assembled modules including the front and rear suspensions, which were the same components front and rear thus reducing tooling and production costs. The MINI Coupe & Roadster were both designed on a computer to save time and money in both production and development costs. This method has been key in reducing any delays in production as the coupe and roadster as share the same production line as the hatch. Any change in time of any new MINI leaving the line at every 68 seconds would ruin the just in time production methods and increase production costs significantly. Like I said at the begin, all these mass market orientated vehicles have allowed both companies to develop and sell limited edition or track focused models for your inner Hoonigan to come out to play. 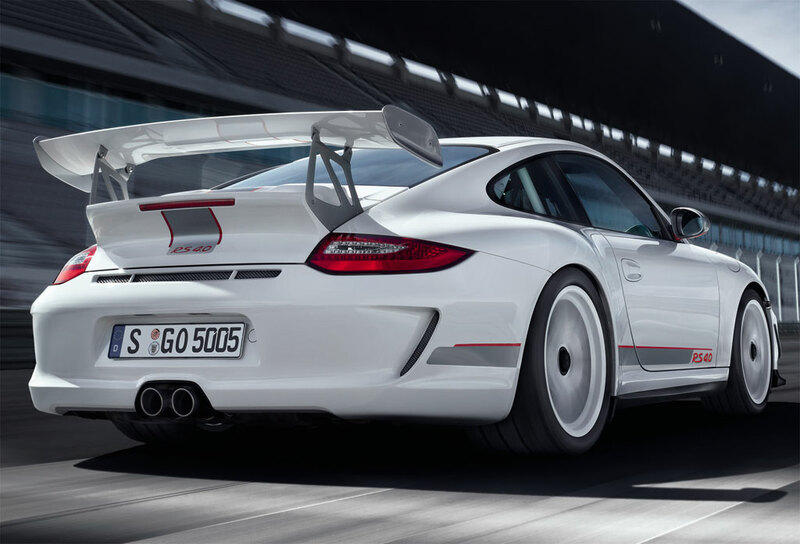 The MINI GP & Porsche 911 GT3 RS are the pinnacle of driver focused vehicles for each brand which both ask for at least 25% percent premium over the normal models. These Halo models have been very effective for the brands to cater to the DRIVERS market whilst bringing people into brand again who can’t afford the upper models. This target group but want a slice of the action so buyers in the lower end models will often opt to buy performance options or accessories. All the money made from normal variants allows more money for r&d and engineers to be let loose on what they actually secretly want to create as they are not limited by noise levels, fuel efficiency, ride comfort or Miss Evans who cant park so we need it needs a auto park system. 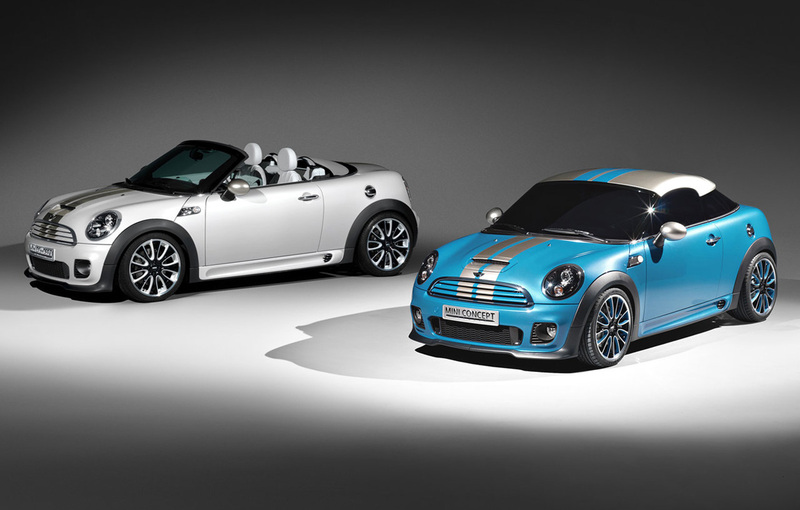 You might be wondering why should I pay for the lucky 2,000 to have the ULTIMATE MINI or the Porsche RS models? Because this pursuit of speed is good as this creates a basis of development on the next generation model or facelift models. Motorsport is the proving ground for new technology and the pinnacle of tickle down technology to everyday road cars. The undertray and aero on your MINIs and Porsches are there because of the motor sport to reduce lift and increase stability at speed. Traction control, Stability control, ABS are all developments from racing to keep the car on road whilst they are fully adjustable on race cars we are all not racing drivers as much as we would love to think. The Top Gear star in a reasonable priced car highlights how much a driver can make a difference in lap time around the same track in the same car. If you look at the F56 Cooper S spoiler is reminiscent of the GP2 spoiler with the wings sides for aero another lesson learnt from developing the GP2. Also looking at the forthcoming F56 JCW alot of the performance tweaks are again from the GP2 with the diffuser, wider tyres, bigger brakes, aero tweaks on the spoiler and arches. Both manufacturers are loved the world over which is key to their success in any segment of their respected markets. Alongside this love for the brands is the customisation options translating into tailored cars which bring greater profit margins. 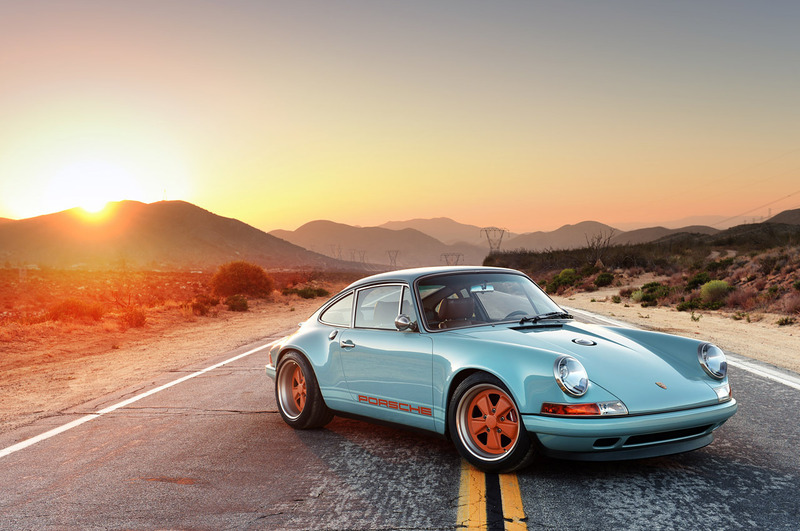 Here is a fun fact – Porsche is the most profitable car manufacturer in the world given the options available and level of customisation owners request or spec. Looking at each brands options list which runs into many categories and sub categories ranging from aesthetics to performance options is a modding bible in itself as you are only limited by your bank balance. The customisation virtually limitless on the Porsche and MINI with the billions of combinations ranging from paint, wheels, interior trim to creature comforts. I spec’d up at 911 Carrera S with a base price of £76,376 to £106,860 that £30,000 worth of options which roughly the price of the GP2 new in the UK. Yes I went for the optional two grand paint, sport performance pack another 2k, some nice wheels, bucket seats, some carbon trim bits and some other bits but I skipped the PDK which is actually saved me £2,500. 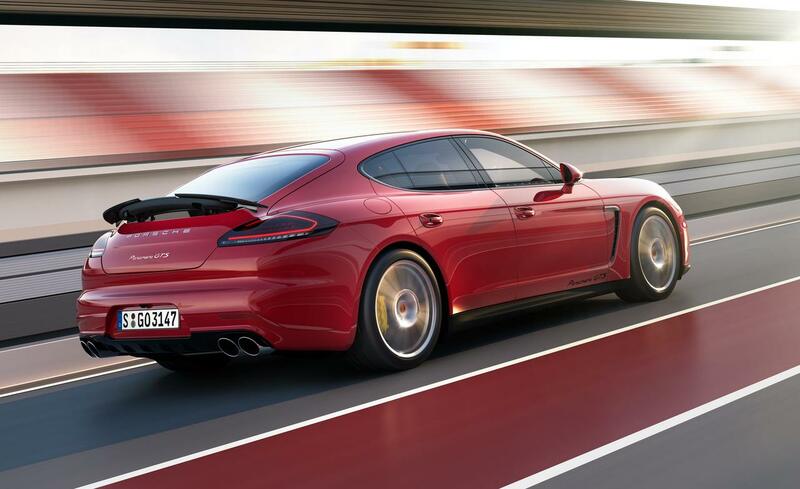 You can clearly see how Porsche’s are hugely profitable given the amount of money you can spend on options. Would Sir like the Porsche logo on your head rest on your seat? £400 please. MINI has been top trumped on this part given their aren’t any real performance packages for say unless you get the JCW tuning kit but that’s it! However on cool factor and little trim pieces MINI are up there. There are trims options on inside and out with them being easily interchangeable pieces. From what I have seen from the F56 brochure and marketing material the customisation is going to another level on the F56 with the key fob, mats, roof, side vents etc being available to customise to various tastes. The Recaros and JCW Tuning kit top are the level of expensive options to spec on a MINI compared to carbon ceramic brakes on a Porsche. The MINI brand has many more small items which can be changed unlike the Porsche where you have sell your misses or kidneys to buy but then have to kill someone to get it fitted to keep the Porsche warranty intact. If the factory doesn’t supply the parts you want then the aftermarket has always been ready to supply and meet our demands. 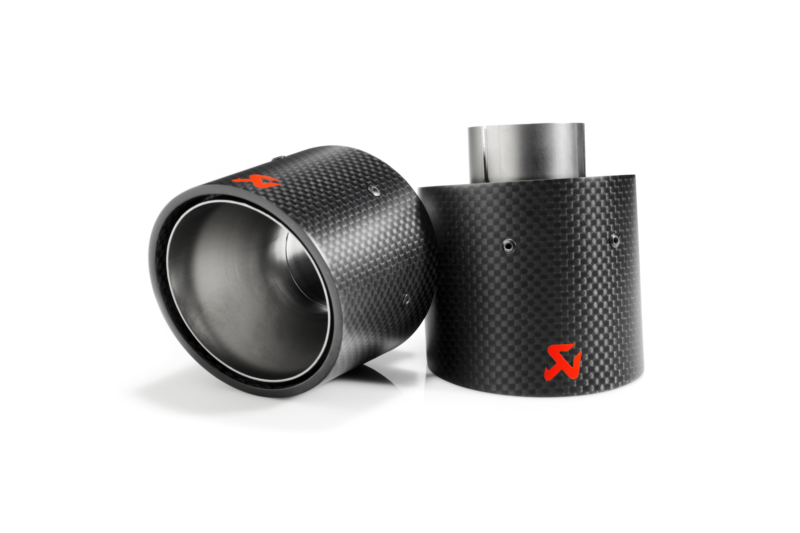 Anything from rims to subtle upgrades are readily available to enhance the noise or performance of your motor. Being an owner of either brand we like to talk about them. When I mean talk I mean we try to steer the conversation towards our car or event we went on the weekend. Our owners club are the biggest in the world spanning across continents, all boundaries of life, colour or wealth. Our love for our cars has connected us with most unlikely people together. This love and passion will always continue on as it is passed on to the next generation to pick up the torch to carry. They are unwittingly apart of the family from the moment they are born. As you can see the two brands are very similar in their ethos as both have roots route back to famous race wins. MINI has been a giant slayer by winning in British touring racing and the infamous Monte Carlo Rally whilst in the present day it has won the Dakar Rally with all 3 podium spots on consecutive years. Porsche has virtually one at least one time in every championship it has enter from 24 hours of Le Mans to Dakar Rally. Porsche did have some success in the rallying with privateers and factory teams with the most famous rallying wins being in 1968 to 1970 where Porsche won the Monte Carlo 3 years in a row with 1 & 2 positions (don’t worry Mini came 3rd in 1968 behind the 911s). The most strange and wonderful 959 supercar won the Paris Dakar rally in 1984 and 1986. Both brands love to drive their cars and get them DIRTY!!!! On a marketing stand point of view both brands don’t really tend to flex their muscle with outright BHP figures but instead to focus on the driving pleasure and everyday usability. Our rivals often laugh at our lack of power but they can’t get away from us on the bends to due lack balance and power transfer to the road. Lets not forget we have a sense of humour when we advertise. 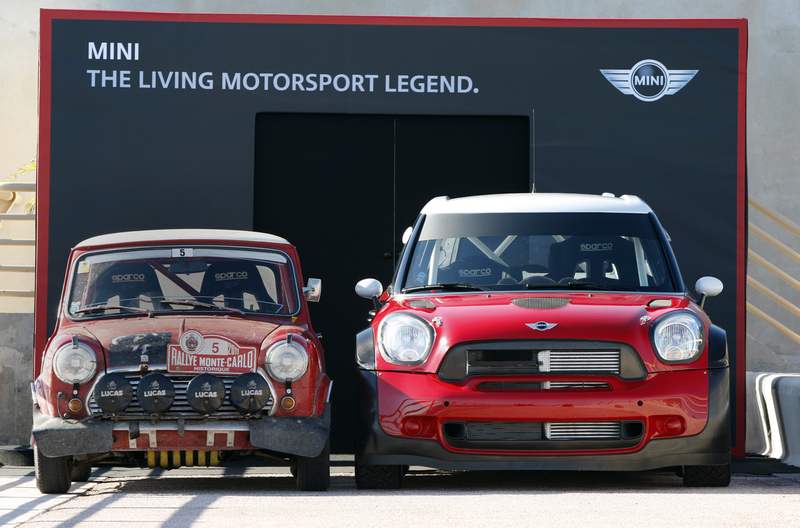 Then were was the infamous battle between the two brands when MINI USA threw down the gauntlet for a race. MINI lost but not by much. 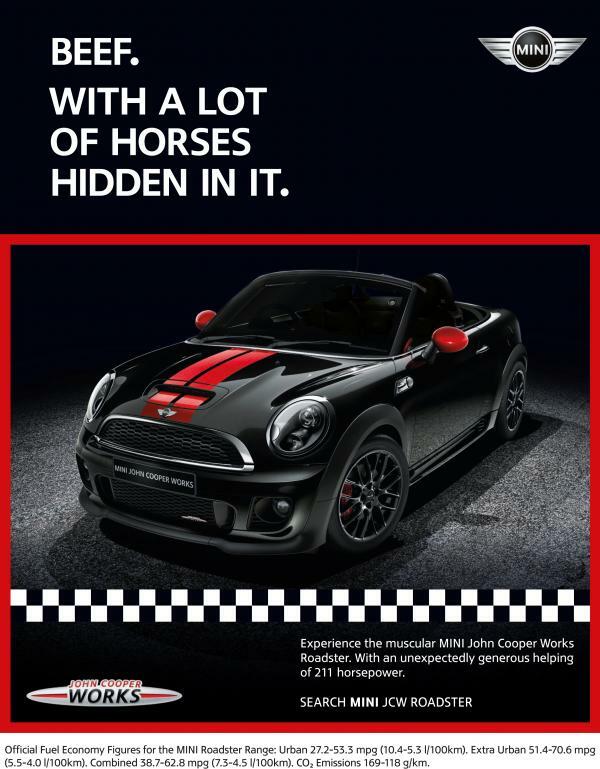 I was disappointed to hear they used a Cooper S when they should have gone for the full fat JCW for the WIN! 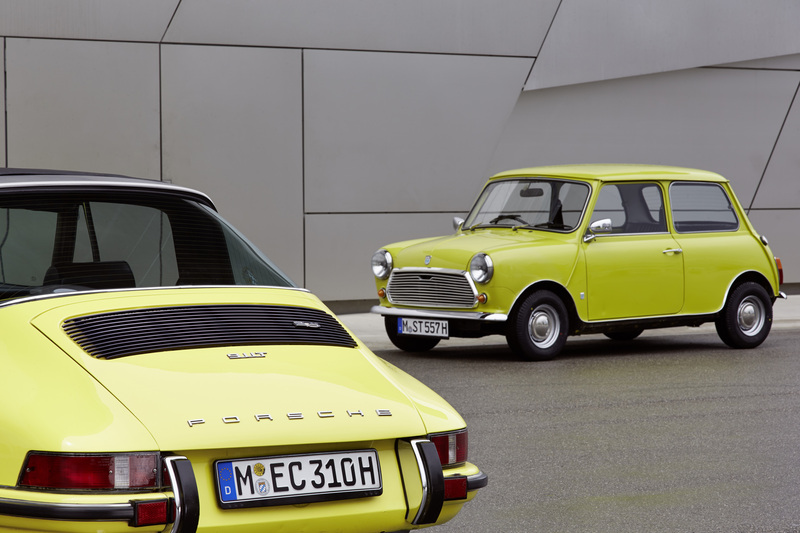 Continuing the image theme, when was the last time you got cut up by a MINI or Porsche? Never? Is MINI the new Porsche?? Nice write up. I couldn’t get past the many, many grammatical errors and spelling errors. Please, please correct as the content is good and interesting.